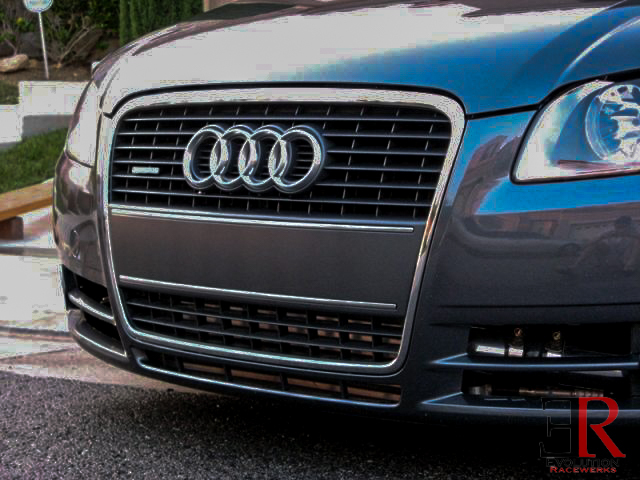 Give your Audi B7 A4 the best intercooler upgrade on the market with the Evolution Racewerks Competition Font Mount Intercooler. 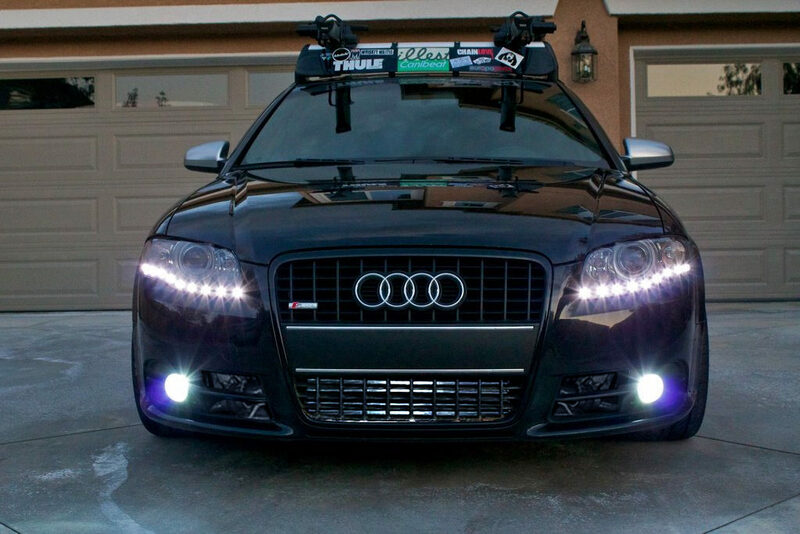 Get rid of your A4's stock intercooler and replace it with an Evolution Racewerks Competition Front Mount Intercooler. 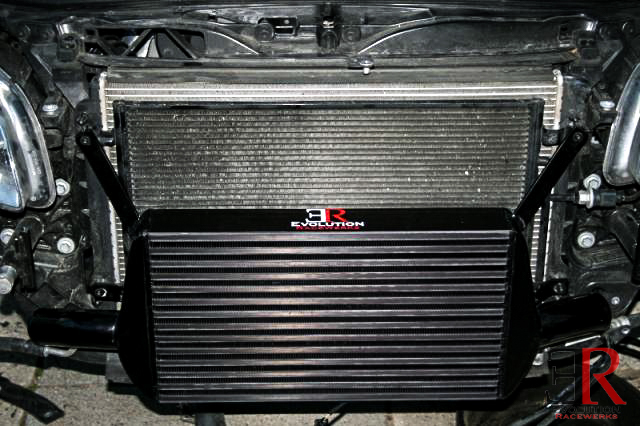 The Evolution Racewerks Intercooler features a large 20"x11"x3" core for greatly improved cooling over stock. 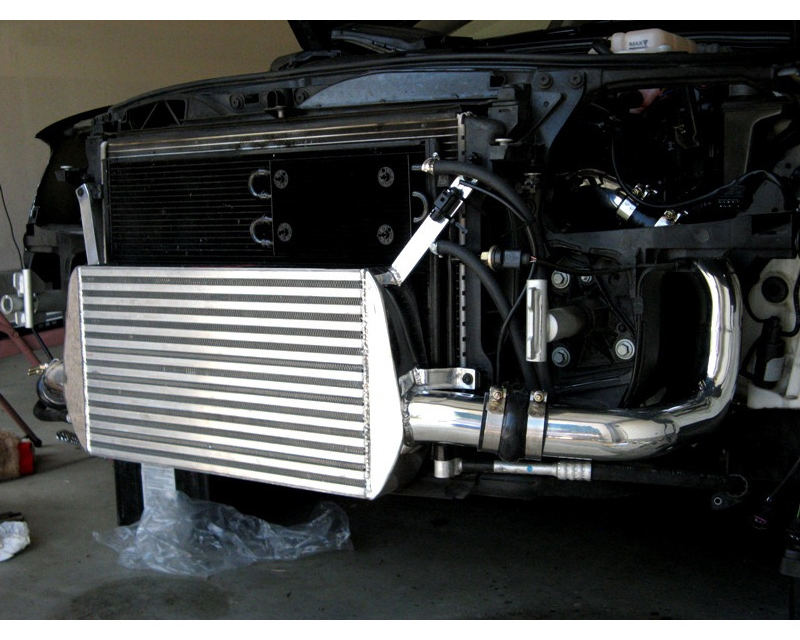 The Evolution Racewerks Front Mount Intercooler is available in mirror polished finish and type III hard black anodized finish. 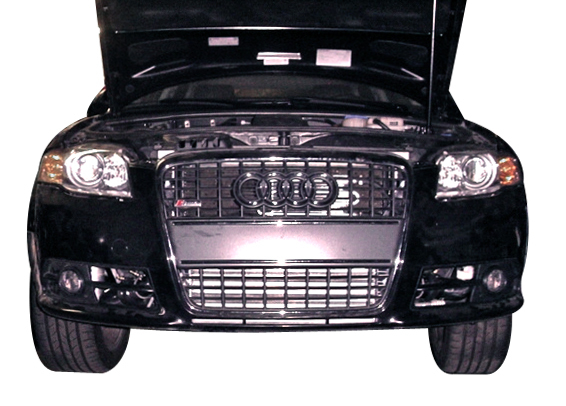 The type III anodized black finish is great for anyone who wants a stealthy look, and it is very hard to tell their is an aftermarket intercooler on the car, unless you know it's there. Another benefit of the black anodized finish is that it makes the intercooler fins harder and stronger, which makes it less prone to getting bent/damaged from road debris. Testing on Evolution Raceworks' rally car has shown the black anodized finish has no ill-effect on performance whereas regular spray paint has shown negative effects. 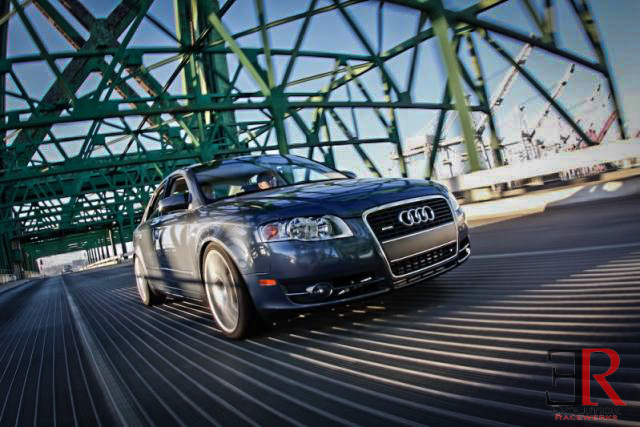 With the big turbo upgrades available today, 300+ hp A4 2.0T are now becoming common place. As horsepower levels start exceeding 300 hp, the FMIC available today and OEM intercooler hose/piping (2.0”) itself starts to become a restriction. When intake air starts to reach the speed of sound (Mach 1) the piping size itself becomes a restriction. 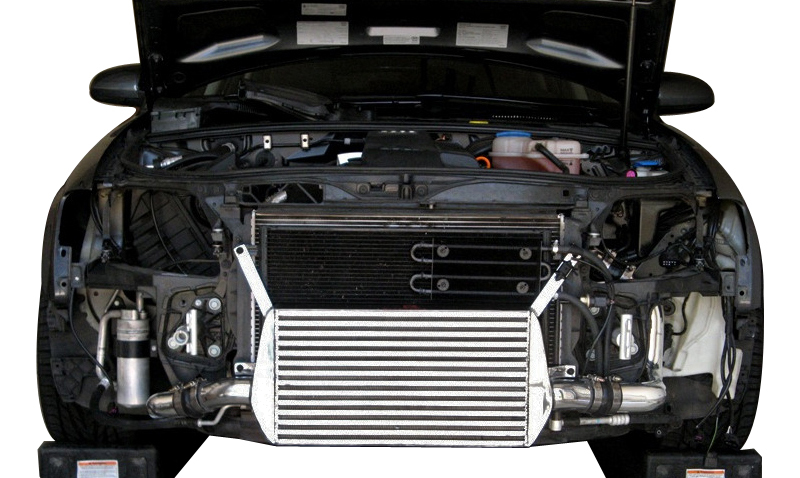 With that in mind, the Evolution Racewerks Competition Intercooler features 2.25” “charge” (turbo to intercooler) hard piping and 2.5” “cold” (intercooler to throttle body) hard piping to properly match the higher flow rates of these big turbos. 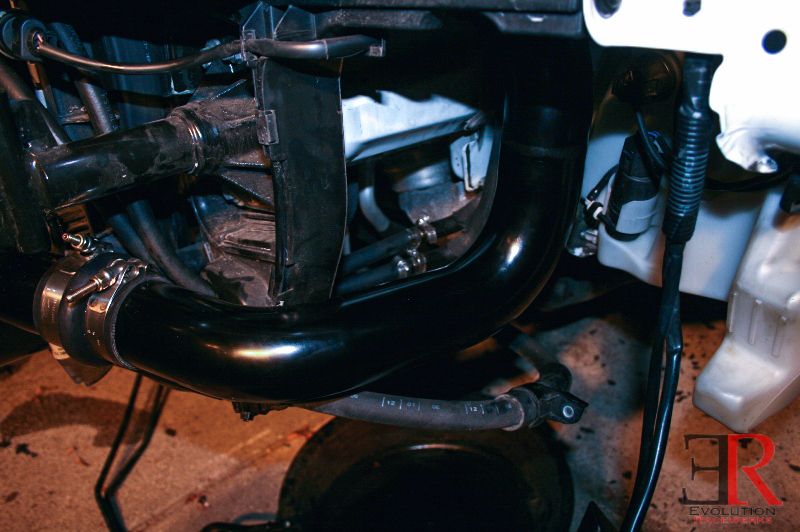 The smaller “charge” pipe helps keep airflow velocity high to fill the large FMIC, which helps increase throttle response and reduce turbo lag while the larger “cold” pipe helps with high end flow. 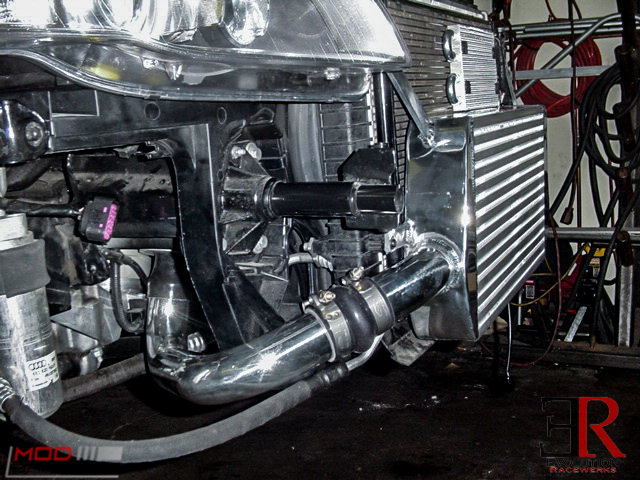 Evolution Racewerks has done extensive testing that has shown that higher top end power is achieved with the larger piping. 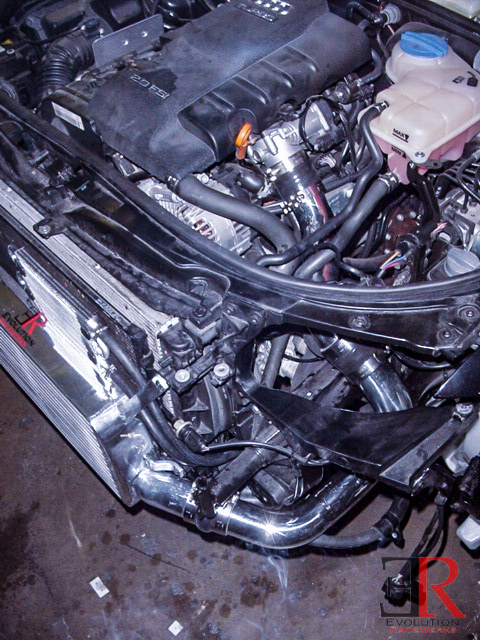 Also, all OEM hoses are replaced with complete hard piping and run as short as possible while taking the least amount of bends possible which increases throttle response, decreases turbo lag, and reduces pressure drop back to OEM levels if not better. 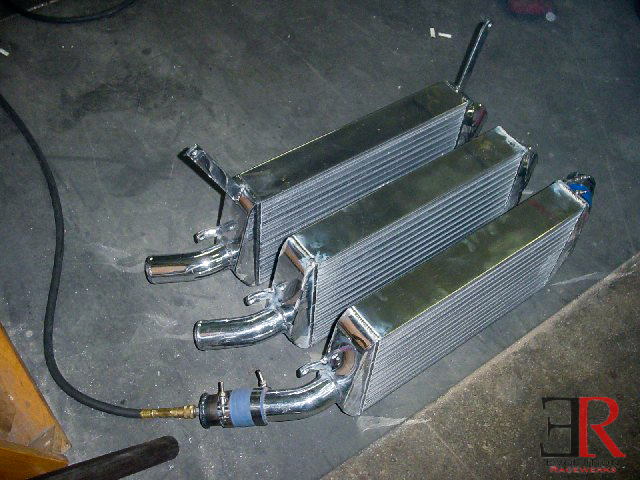 Evolution Racewerks does extensive R&D as well as beta testing to ensure the highest quality intercoolers. Evolution Racewerks also checks intercooler quality before the intercoolers are packaged. EVERY FMIC is pressure tested to 50 PSI of pressure before they are shipped to ensure no leakage. 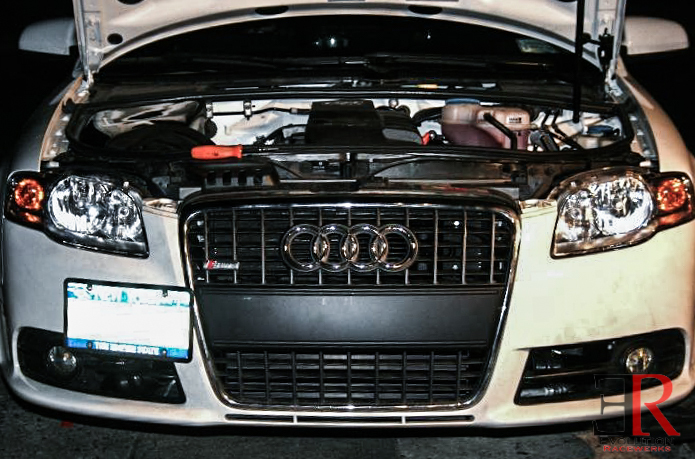 EVERY FMIC is test fitted on the original component on the car (OEM radiator) to ensure perfect fitment. 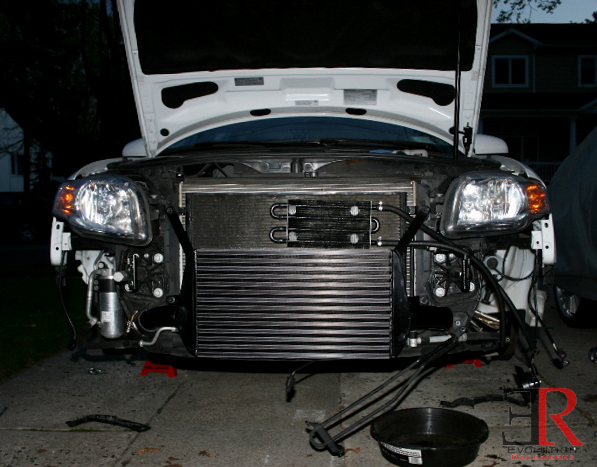 High quality parts and accessories are included with the intercooler as well as a detailed installation guide. 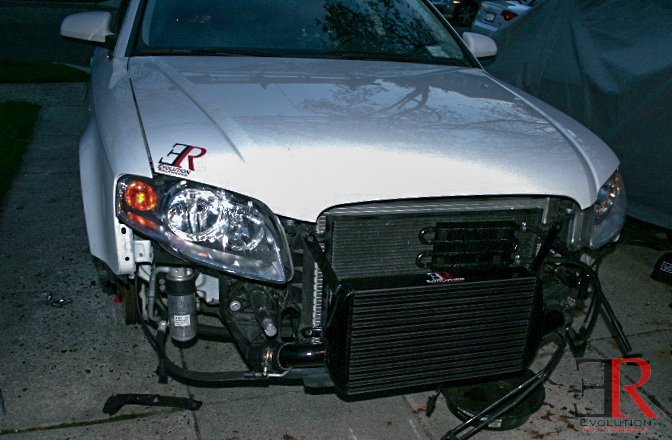 All Evolution Racewerks' Intercoolers are backed with a Limited Lifetime Warranty. 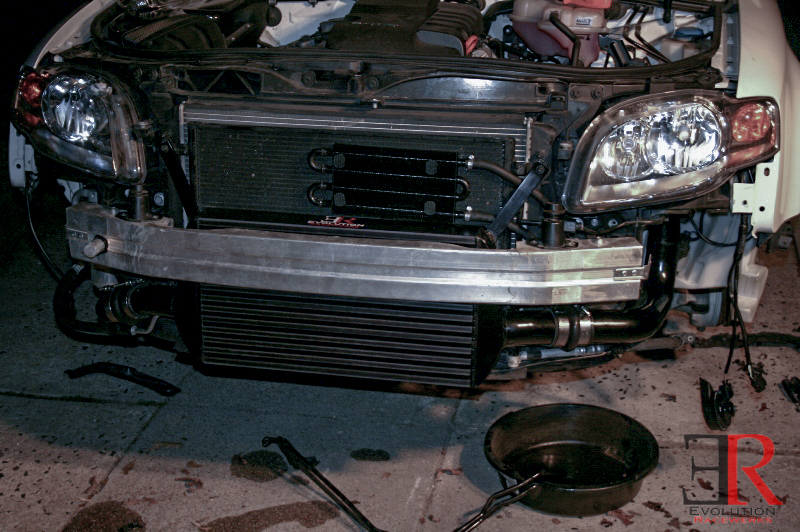 With such a large and thick intercooler core used, the OEM power steering cooler as well as the OEM front bumper reinforcement bar is now in the way and cannot be used. 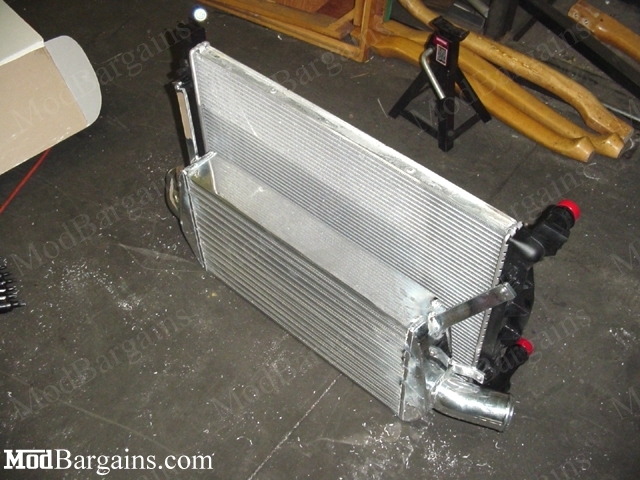 Unlike other intercoolers that requires the OEM power steering cooler to rigged by bending and deforming it out of the way, the Evolution Racewerks Competition FMIC Full Kit includes a new 4 row external power steering cooler that is now mounted above the FMIC and comes with all hardware to install into the power steering system. The new power steering cooler is more effective at cooling the power steering fluid which helps prolong the power steering pump, a component that is prone to failure. For an easy installation the Full Kit comes with a bumper reinforcement bar, so their is no need to modify your existing one. The bumper reinforcement bar is constructed from 1.5” 0.095”DOM steel tubing, the same material Evolution Racewerks uses to build roll cages. The plates on the new reinforcement bar are dimpled for added strength.